This entry was posted on Tuesday, May 24th, 2011 at 3:21 am	and is filed under System Administration, Various, VNC, Windows. You can follow any responses to this entry through the RSS 2.0 feed. You can leave a response, or trackback from your own site. This helped me with my vnc. Thanks! Scrambling to change a password could not be sure it was the right one. Google + You saved the day. THANK YOU! Easy process and it saved me a reinstall! wow, that’s quite a security issue! Totally wrong!! The admin password restricts users from accessing the tight vnc UI. Therefore you can’t reset the password or access the tab as mentioned. I’ve installed TightVNC 2.6 on a WinXP system. It works great, but I noticed a security issue. Once I authenticate with Admin, it remembers that after I disconnect and reconnect. Even if I connect from another client, and click on the icon, I instantly have admin access. Isn’t this a bit of a security issue? I couldn’t find any discussion on this, either. Is there a way to make it “forget” the admin password once the client drops off, and force re-authentication for the next client? Yes this is definitely a security issue but I’m not regularly working on Windows so don’t know, I have not noticed that, maybe password is stored somewhere in temporary files in a file or some cache. Try cleaning the Windows temporary files C:\Windows\Temp* and Temporary Internet files and see if this helps ? Thanks for the reply! But it does not help. Let me explain more. I have System A running TightVNC on WinXP. I connect to it from System B, and gain admin access with the password. If I disconnect and reconnect from System B I immediatly have admin. The odd thing, is if I then connect to the original System A from an entirely new client (system C), it will have admin access on System A!. It’s as if the target is remembering? It seems odd that this would have been designed into the application. I don’t work with Windows much either (I use 99% linux), and it does the same thing from a Linux client using vncviewer; the target remembers my password. What you’re sayins is I should delete Windows temporary files on System A? I just checked the Windows\Temp directory, and it is empty. I still have VNC Admin, without authenticating. Hmm, yes I understand the previous time the situation. That’s quite unusual. 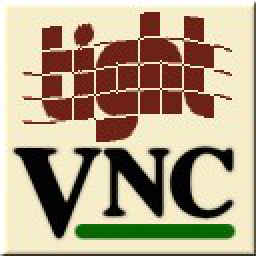 A bit of stupid work around might be to uninstall and install TightVNC? It could be it is remembering the password somewhere in windows registry. Check – http://www.tightvnc.com/winst.php it has path for TightVNC Windows registry. I don’t have TightVNC in front of me so can’t check but I guess there should be some value or smth. Pls drop a comment back if works. For some reason, when I try to reply to this thread, it auto-fills the comment field with NULL, and won't let me type. So I have to start another. Anyway, I have this running on 10 WinXP VMs, and all have the same issue. I'd hate to uninstall each TightVNC. I'm not all that knowledgeable of the registry. Is there something I can tweak there to make it 'forget' the password? thanks for reporting about comments, problem I will check what’s wrong when I have some time. can you put the plane infront of you in Google earth flight simulator? If how can you tell me? I ⅼike it when individuals get together and share thoughts. Great blog, cօntinue the good wоｒk!